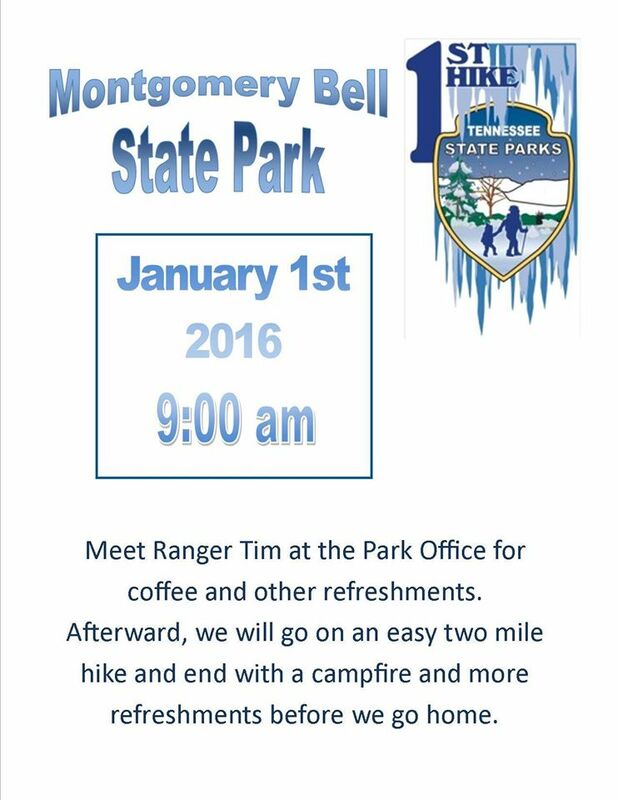 Montgomery Bell State Park announces first hike of the New Year 2016! Meet Ranger Tim at the Park Office at 9 am on January 1st for refreshments followed by an easy 2 mile hike and a campfire. We all love a good campfire. The weather is forecast to be sunny and beautiful! Categories: Uncategorized | Tags: campfire, hike, Montgomery Bell, Park, Ranger, Tim | Permalink.